Have leftover corned beef from St. Patrick’s Day? 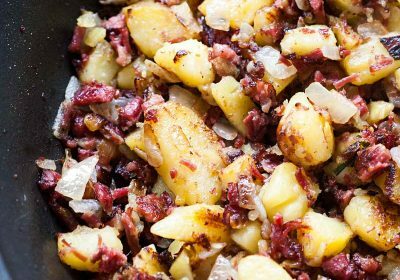 Make this Corned Beef Hash! Chop up your corned beef and potatoes, fry with onions, and serve as a side or for breakfast with eggs!